Working on his set for the record breaking tour – 90 shows in 99 days – Tech N9ne hit Twitter to ask fans what they wanted to see live, adding that he was “so tired of doing ‘Midwest Choppers’!” Unfortunately for Tech, fans demanded all three – “Midwest Choppers”, “Midwest Choppers 2”, and “Worldwide Choppers”. Tech’s debut of the medley on The Lost Cities Tour was a big hit with fans and despite Tech expressing the difficulty of performing “Midwest Choppers” live, he’s bringing it back for his Technicians. Paired with Machine Gun Kelly for the “Hostile Takeover 2012” Tour, Tech N9ne should have no problem showing off his elite chopper skills. 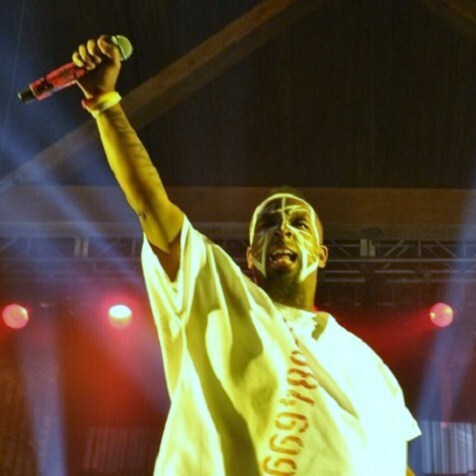 Have you ever seen Tech N9ne’s “Chopper” medley live? Would you rather see all three songs or only “Worldwide Choppers”?